Terminator Pest Control, LLC is a family-owned and operated business based near Randolph, Wisconsin. Our licensed and certified technicians have over 60 years of combined pest control experience. We've earned our reputation for exceptional customer service by implementing the most effective pest management methods and strategies in a safe, efficient, friendly and professional manner. Over the span of more than two decades, Terminator Pest Control has evolved from servicing a small number of local homes and dairy barns to servicing thousands of residential, commercial and industrial clients across the state of Wisconsin. From the most basic service plans to help keep your home pest-free to some of our more challenging and unique commercial and industrial services – like structural and commodity fumigations, heat treatments for bedbug elimination, and poultry and livestock industry disinfection services – we offer just about every type of pest control service a home or business owner may need. We have a team of highly trained, exceptional employees that work hard every day to keep our clients satisfied, and our commitment to do so is more solid now than ever. With all of the growth and success we"ve had through the years, we still hold on to the same values that molded our foundation of success from day one: to offer exceptional service to each and every client, and act with integrity in everything we do. Thanks for taking a moment to learn a bit about our company history. If the need should arise, we look forward to the opportunity to provide you with the best possible pest control service. I am pleased with your service. Very friendly, efficient and thorough. Quality people and quality service. Thank you! Great pest control company. The friendly and knowledgeable staff are always top notch. Especially the office manager and technicians! Kyle was extremely professional and worked with us for a successful extermination event. We were very satisfied. We use Terminator at our office and have been extremely happy with their service. Terminator Pest Control is a trustworthy, reliable and efficient service, performing a task that its customers need but would not chose to do for themselves. The service men are pleasant and diligent. Continue the great job! Thank you. Excellent Customer service, and great knowledge of what insects or pests that are causing issues in your home. Highly recommend them to inspect and treat your property. Everyone was very courteous and helpful, especially Maya! There was a bit of a mixup on the date but the technician and Maya coordinated really well to get that right and everything worked out smoothly. When you are working with helpful people, no problem is really a problem. Very professional and fast. I gave it a 4 because it's only been a week. Only 1 mouse since then. Excellent service provider! Highly recommend signing up for their Spring and Fall services!! We found bugs in our basement this year that we’ve never had in the past. Great to see the box elder bugs stopped in their tracks this year. Your application worked well. Life is better with less bugs in and around the house. thank you Terminator Pest control....especially for us farm house living people. We are greatful for you outstanding service. Got bees, wasps, hornets, Asian Beetles and/or Box Elder bugs...? I did and Terminator had some really nice reviews so I called on them to help me out. Great job all around with spraying, dead bugs are OUTSIDE! NOT clinging to outside windows either. Did a really nice job spraying and knocking down the wasps/hornet nests, too. Highly recommend! Sherrie Saunders - Montello, WI. I have several friends who also use Terminator Pest control, very pleased! We are very pleased with the quality of service we receive from Terminator Pest and would recommend them to anyone! They have been great to work with and getting things set up. Has been great service from the moment we started working with them. Terminator Pest Control gives prompt and excellent service. They have been an excellent source to eliminate unwanted insects and spiders from our house both on the lake and now that we live off the lake. You will be well served if you use Terminator Pest Control. Thorough and responsive service. Great technicians! Great job! We are happy with the service and the price is very reasonable. Very Happy with Terminator pest control. Always prompt and polite. They do a good job and are easy to work with. I have been a Terminator Pest control client for about 20 years. I have always been very happy with their service. (Bob was my sprayer guy for many of those years:) I recently contacted Terminator and communicated with them that I felt the need to have an extra round of spray around my house. The response was immediate and a technician came within a couple days of my call. He listened to my concerns, was thorough, and sprayed the perimeter of the house, as well as the siding and under the gutters. FYI: Toby did an excellent job and is a great "people person" as well! Kyle made an excellent choice when he hired Tobias! Also, kudos to Kyle for running a great business! Great timely service, no problems and no bugs! Thanks terminator for years of your service. Wautoma wisconsin. Great service that works at a reasonable cost. Any problems they make it right. 5 stars! I have been with Terminator pest-control for a very long time and I’m very happy with their service. 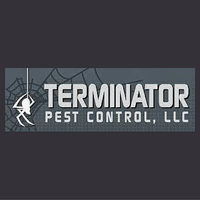 Terminator Pest Control is just the best. They are on time each day they say them are coming and I enjoy a home at the lake spider free. Manny is doing a good job and is quite courteous. Happy to be working with you. We've had them for almost a year and I can say it's worked wonders for inside and outside the home. Prompt, professional, friendly, and I have not seen a single yellow jacket since Manny treated our home!100% satisfied, and I will recommend Terminator to everyone! Awesome service with complete customer satisfaction! I have been happy with you for all the years I have been with you!!!! I have even got you new clients. Great service and very friendly and prompt workers.When they say they are coming, they show up on time and are true to there services.Great experience and even better results. Very satisfied with service. The technician explained what he would do and what pests would be taken care of. Walked around the exterior of house and pointed out active and inactive wasp nests. Very friendly. Great to be rid of the hornet and wasps,also no more spider webs on the house that need to be dusted off every day! Would recommend. Fast friendly service that works. Exceptional service, professionalism, and reasonable rates have kept me a customer for over 10 years. Quick, efficient service and noticeable absence in insects, hornets and wasps, which is what we requested. They were out here right away and afterwards my pest problems were gone. They are very friendly and kept in mind the safety of my small children.